Movie Ramble: Touchez pas au grisbi. Max le Menteur (“Max the Liar”) and Riton are sitting pretty just waiting for the day they can retire from a life of crime. These two aging hoods have just pulled off the heist of a lifetime, 50 million francs in gold bullion snatched at Orly airport. For Max, this hoist will ensure him a comfortable retirement, for Riton it will, or so he hopes, help him hold onto his two-faced girlfriend Josy who, along with Max’s moll Lola, is appearing in a new floor show at the nightclub of their long-time underworld buddy, Pierrot (nicknamed “Fats”). But Max and Riton, who have been friends and partners for 20 years, have a wee problem. Riton has stupidly gone and boasted to Josy about the gold, which Max has stashed away in a car locked up in his building’s parking garage. Josy passes the news on to Angelo, a dangerous young drug dealer whom Max discovers making out with Josy in her dressing room at Fats’ club. Before the old friends realize Angelo’s game, it’s too late. After a first failed attempt to abduct both hoods, Angelo finally manages to kidnaps Riton and threatens his life if Max does not hand over the loot. At first Max is angered by Riton’s stupidity, but once he calms down realises that if he wants to save his friends life he must hand over the gold. The exchange has been arranged to take place at night on a deserted country road just outside Paris. Dusting off some old sub-machine guns Max and friends set out the get Riton back and if possible hang on to the gold. 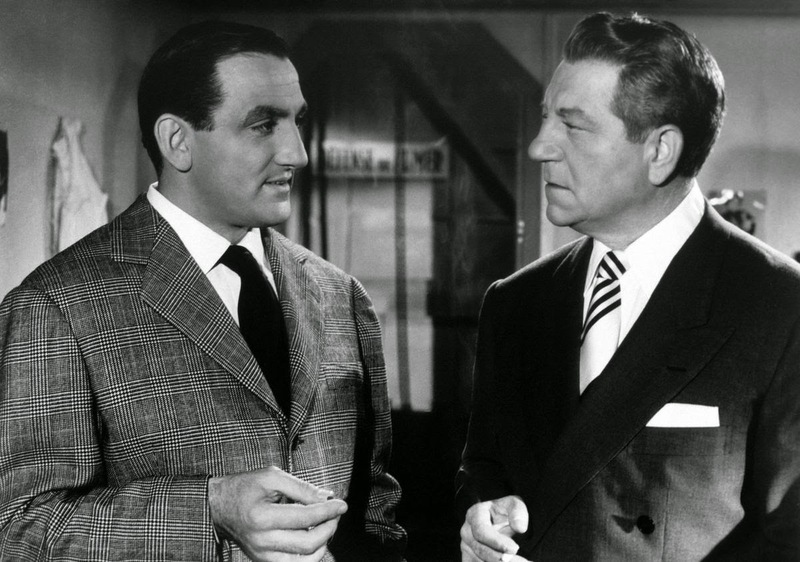 Lino Ventura with Jean Gabin. 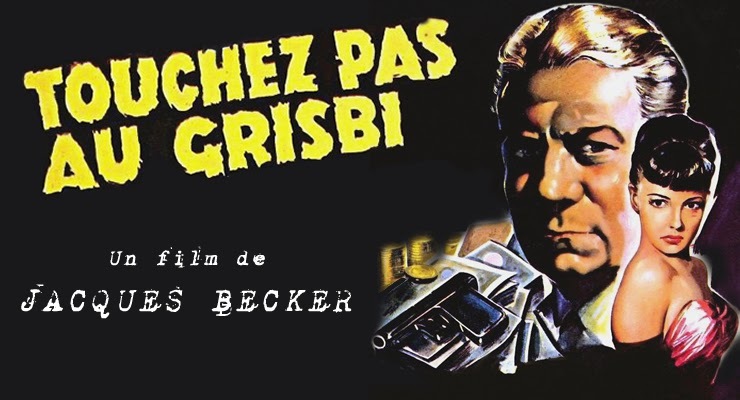 This jazz themed gangster movie Touchez pas au grisbi (1954) directed by Jacques Becker, who had served his filmmaking apprentice under the great French director Jean Renoir, is a fabulous watch, an action packed crime thriller that’s skilfully crafted but never goes over the top. It has two other advantages one is the soundtrack. Jean Wiener’s harmonica melody for Grisbi played by Jean Wetzel remains one of the most famous French movie themes of all time. Its success was such that the melody was quickly supplied with lyrics for a vocal version and released in the USA. The second is the style and fashions especially of the women. There are no waifs in this movie; all the ladies tend to be voluptuous and very well dressed. They include a very young looking Jeanne Moreau an actress that has appeared in many movies including Lift to the Scaffold (1958), Joseph Losey’s Eva (1962) and Fassbinder’s final movie Querelle in 1982. Also appearing are the delectable named Dora Doll, the Italian dancer and actress Delia Scala and the beautiful Marilyn Buford who had been crowned Miss America in 1946. American Beauty Queen Marilyn Buford has a dinner date with Gabin. The lovely Delia Scala gets close to a smart suit. 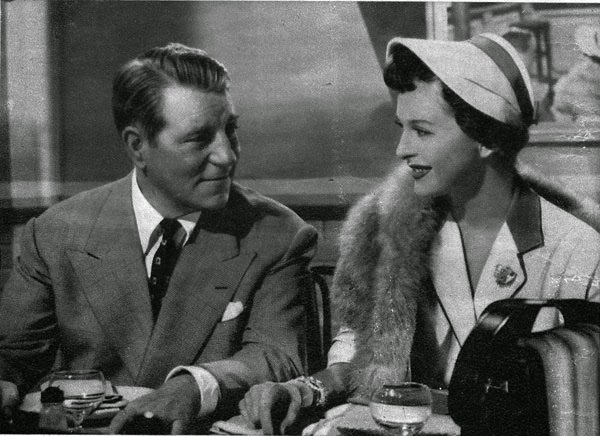 The movie is credited with influencing Jean-Pierre Melville as well as relaunching the career of of one of Frances best-known pre war character actors Jean Gabin who plays Max, his partner Riton is played by Rene Dary. Also involved is the Italian born actor Lino Ventura (Classe tous risques 1960) who made over 70 films in a 33 year period working with such world renowned directors as Claude Lelouch, Jean-Pierre Melville, Gerard Pires, Vittorio De Sica and Louis Malle to name but a few. Ventura was a big man, a wrestler as a youth and the epitome of a French gangster therefore ideal for the role of Angelo, Screened in competition at the1954 Venice Film Festival, the movie was based on a novel of the same name written by Albert Simonian, which was published in 1953. Location filming took place in Paris and the outskirts of Nice. 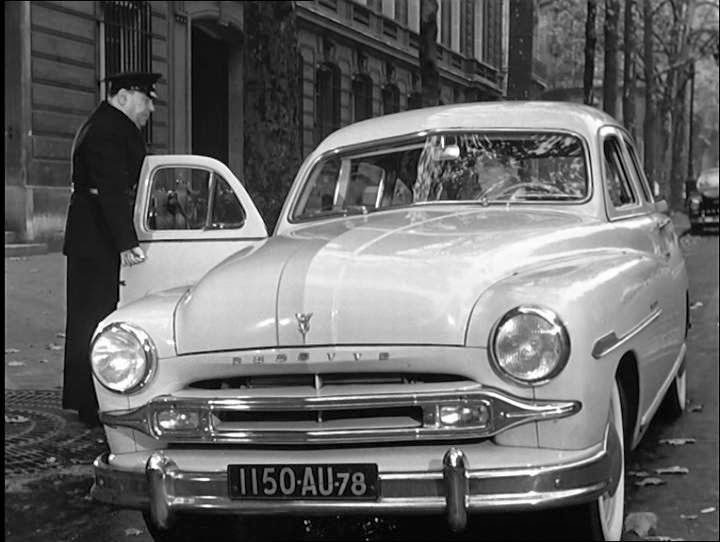 It was released in Paris on March 17th 1954 but not in the UK, where it was known as Honour Among Thieves, until 1956. Even the cars looked good!